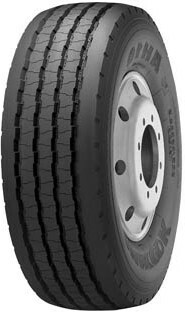 The AH10 with enhaced wear resitance, is ideal for a lot of stop-and-go driving on rough roads and frequent cornering during meduim distance hauls. This tire will deliver the mileage you are looking for. An optimal section shape with stable tread contour provides the best performance on meduim routes.